The Center for Land Use Interpretation: "More To Be Discovered Than We Have Ever Imagined"
Founded in 1994, The Center for Land Use Interpretation is both an essential and furtive organization. In the Center's 2006 publication Overlook: Exploring the Internal Fringes of America with the Center for Land Use Interpretation, founder Matthew Coolidge shares his hope that after reading the book, "You forget about us–the Center." What matters to Coolidge is that after an encounter with the Center, "You come away with a widened sense of awareness of the physical world that surrounds you." 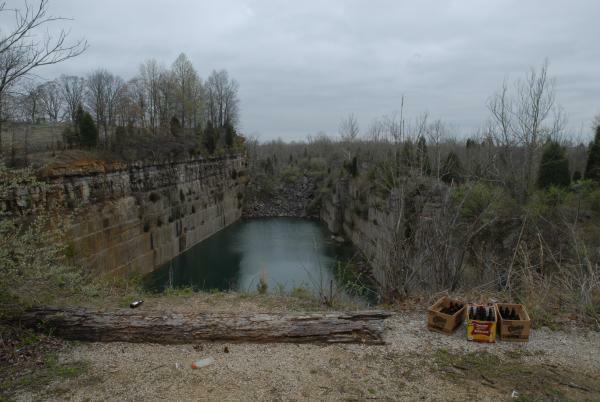 Aside from its physical locations scattered across the country, the Center provides an online Land Use Database of "unusual and exemplary sites throughout the United States." The database catalogues sites as diverse as an abandoned pyramid project in Bedford, Indiana and the Cannikin nuclear test site on Alaska's Aleutian Island Chain. As an ongoing project, the Center is dedicated to the creative interpretation of America's already radically transformed and continually changing landscape and utilizes a decentralized model of research and inventory. 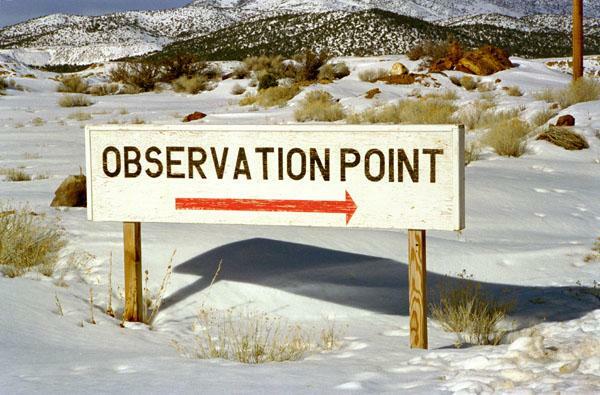 Overlook offers this explanation of how locations are selected: "The Center regards a site as 'unusual' if it stands out as unique, extraordinary, singular, rare, or exceptional. 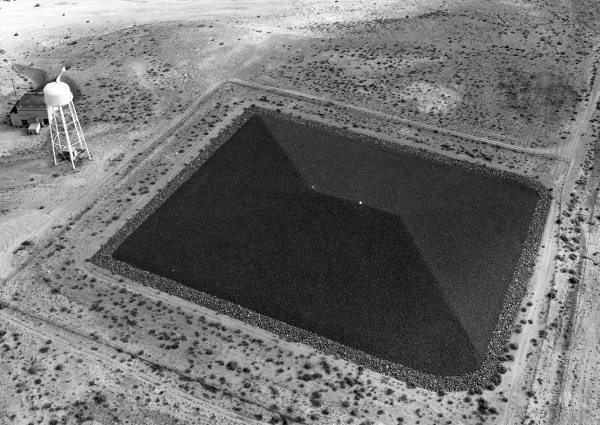 An example might be a piece of land art of a plutonium processing facility. A site is considered 'exemplary' if it serves well to represent a more common type of land use, if it is especially articulate, descriptive, coherent, or concise. Or if it represents an apogee of its type: perhaps it's the first, the largest, the smallest, or has some other superlative quality." Essential to the Center is the process of interpretation without the burden of encyclopedic objectivity. It offers residencies to a variety of interpreters, who engage in a creative process of understanding and interpretation. The Center stresses that their efforts to catalogue and database are not totalizing archives, but of what does exist. "The database is not a collection of everything, but rather a selection from everything." In this, it differentiates its project from contemporaneous attempts to organize and database knowledge, which harbor pretentions to completeness. 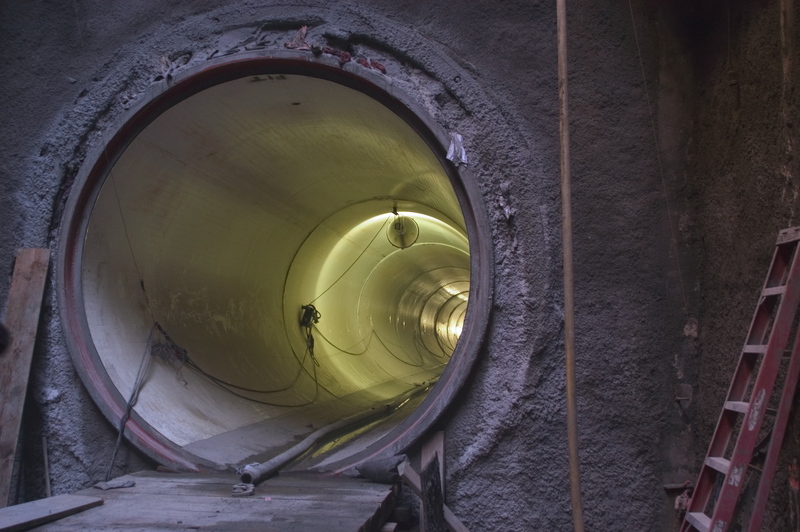 Image from CLUI Exhibit "A View into the Pipe: East Central Interceptor Sewer." In Los Angeles, the CLUI occupies "an anonymous grey brick storefront." The Center has its own bureaucratic aesthetic that functions as both an enforcement of its authority and a facilitator of its faceless extention of the numerous geographical concerns of artists from the 60s and 70s. The similarity of the Center's projects with conceptual artworks and its links to land art are highlighted by MOCA's own online land art map accompanying its current Ends of the Earth: Land Art to 1974 show. As an organization, the CLUI makes no claim to its artistic practice as anything other than an aid for other artistic practices. While Similar contemporary projects, like those by Trevor Paglen, revel in the discovery of secret worlds within the world, the CLUI's administrative facade embeds it's cataloguing concern within a purely institutional, as opposed to aesthetic, function. Green River Disposal Cell, Utah. Image from CLUI Archive, with flight support from Lighthawk, 2012. Currently on display at the Center's LA headquaters is Perpetual Architecture: Uranium Disposal Cells of America, which showcases cells throughout the American southwest. The cells were designed and built during the last 25 years to contain radioactive waste for as long as possible, and become lasting monuments to both the radioactive materials and the facilities that originated them. While the CLUI has a tremendous power to reveal hidden elements of the American landscape, its most striking effect is its ability to recontextualize art practice within the context of a research institute as opposed to the desire of a single individual. All images courtesy of The Center for Land Use Interpretation.